The Wild West conjures up images of the final American frontier, as well as the famous gunslingers who lived there. 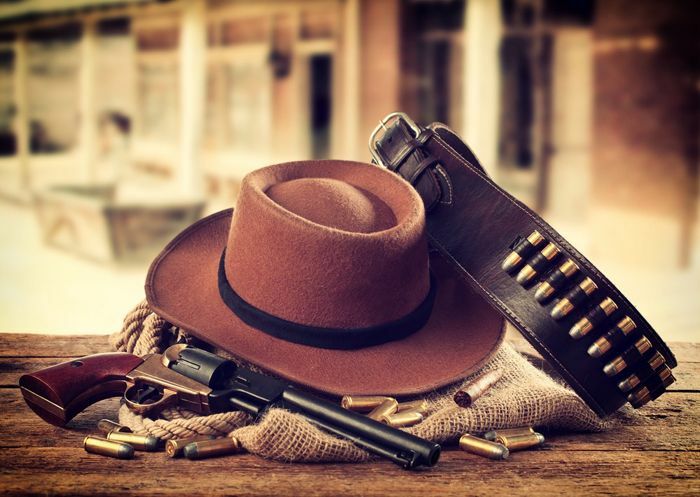 Immortalized in folklore and Hollywood, these gunslingers have become the iconic images of childhood for millions of Americans. The stories of heroes and villains fighting it out on the dramatic western landscape helped shape the history and culture of the United States. The names of Wyatt Earp, Billy the Kid and Wild Bill Hickok were once revered like contemporary sports stars, but their business was oftentimes violent and deadly. Let’s take a closer look at some of the most prolific gunslingers of the Wild West. Wyatt Earp was one of the most famous gunslingers and gamblers in American history. He gained his notoriety for his actions at the O.K. Corral in Tombstone, Arizona, but this wasn’t the starting point of his law enforcement career. Born in Illinois, he started with humble beginnings. As he worked his way farther out West, he held in a number of law enforcement roles. Earp worked as a sheriff, constable and even a Deputy U.S. Marshal for a time. He also had other occupations as well–at certain points in his life, he was a professional gambler, brothel keeper, bouncer and bartender. Earp was known all across the land because he traveled from each western boomtown always looking for a way to make some quick money. He followed the boom all the way up to Alaska where he made over $80,000 running a saloon–equivalent to about $2 million today. Of course, he was also one of the most feared gunslinger in the West. He was a renowned lawman, and the shootout at the O.K. Corral would help stamp his place in history. Earp, along with his two partners, Doc Holliday and Virgil Earp, came across five members of the notorious outlaw gang The Cowboys. After the dust settled, three of The Cowboys had been killed and the other two fled the fight, leaving Earp and the marshals victorious in the battle. Wyatt Earp would go on to publish an autobiography–Wyatt Earp: Frontier Marshal–that would go on to be a bestseller. Of course, his story lives on in Hollywood, with a number of movies that portray this famous gunslinger of the Wild West. On the other side of the law, there are few more famous than Billy the Kid. Born William H. Bonney, he started a life of crime at an early age, after he lost his parents when he was 14. Billy quickly learned how to fend for himself. He gambled and picked up odd jobs, always looking for the next way to make a quick buck. He actually became famous for stealing horses. After he had stolen enough horses from the U.S. Army, he decided to head out West where he would get himself in more trouble. After murdering a man in Lincoln, New Mexico, Billy the Kid was indicted on murder charges. As he was being pursued, he killed a number of other men, leaving a path of death and destruction across New Mexico. Although he was captured, it wasn’t the end of Billy the Kid. He managed to escape and killed two more deputy sheriffs as he made his exit. Billy the Kid became an outlaw fugitive with a $500 bounty on his head, and it was only a matter of time until the law caught up with him. He was killed by Sheriff Pat Garrett in Fort Sumner, New Mexico. There are some legends that say Billy’s death was staged, and he continued to live his life in the Wild West. In total, Billy the Kid killed eight men on his murder spree. He solidified his name in outlaw lore and became a famous fugitive whose story lives on in Hollywood and TV. Wild Bill may hold the title of the deadliest gunslinger in the whole West. He carried his two Colt 1851 Navy revolvers with ivory grips and nickel plating, which can be seen on display at the Adams Museum in Deadwood, South Dakota. He was known to wear his pistols in a cavalry draw, which could be equated to a reverse draw today. His style of carrying is something that can be equated to an inside-the-waistband holster that has been set up for a cross draw. He held every job that you could think of–starting his life as an outlaw and ending it as a sheriff. He was a gambler, actor, soldier, spy, scout and marksman. Some say he fabricated many of his accomplishments, but no one could deny his larger than life personality. He was credited with killing over 100 men and was in a number of different gunfights. One of his most famous duels was with Davis Tutt, where Hickock shot the man at 75 yards–an impressive feat, even by today’s standards. His wild ruffian lifestyle eventually caught up to him. Jack McCall shot Hickok in the back of the head while he was playing five-card stud. 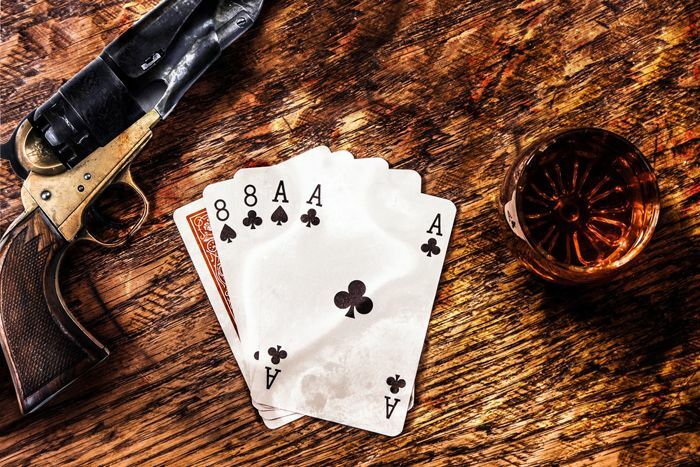 The hand that Hickok was holding had two pairs–one pair of black aces and a pair of black eights. This became known as the dead man’s hand. His story wouldn’t end there, however, as there have been a number of portrayals in movies, books and stories. The legends of his wild life to live on today. 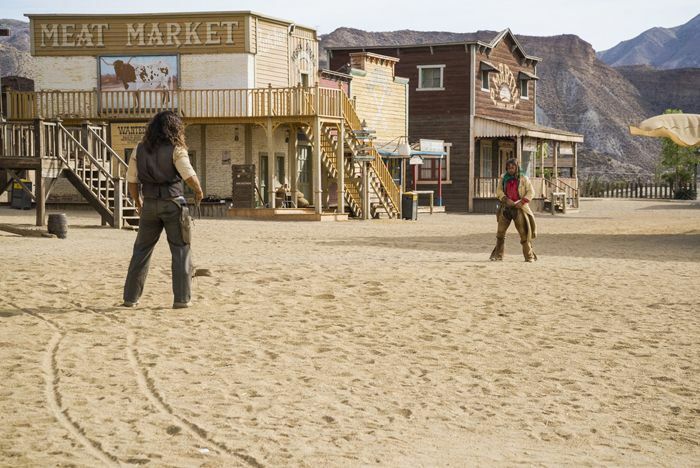 The American Wild West was a violent and bloody place. Over the years, there has been a great deal of mystery and tragedy that has shrouded this time in American history, but these legends have continued to live on. These famous gunslingers were part of an era of uncertainty–when the West was still wild, and the rule of law was scarce. Their stories are woven with history and grandeur, and that’s the reason that they remain relevant today.